Adelaida sells freshly cooked food from her home along with other work on the side for extra income. Self-Help Staff interviewed her and her neighbor wrote out her story, as she is unable to read or write. However, the words are those of Adelaida. Adelaida is a very entrepreneurial worker who tracks her income and invests as much as she can. In the community of Laurel Galan, a seven minute drive from the Self-Help office in Quinta Lidia, live 18 women who make up four groups in the Micro-Credit Program. One of these women, Adelaida, has been part of the Micro-Credit Program since November 2013. Her 17 year old son is in his thirdyear of high school and helps Adelaida with chores around the house, with her small business and he is also tutoring a local woman in reading and writing.  Adelaida just received her third loan last week. 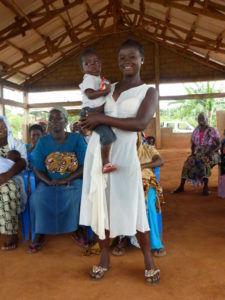 With the first loan, she was able to replace her old, small cooking pots with new, larger pots. She runs a small eatery on the side of the road and her specialty is Nacatamals, which she makes on the weekends, and also her chicken or beef soup. In the evenings, she sells tacos, enchiladas and French fries. Adelaida says her busiest days are Monday, Tuesday, Wednesday, Saturday and Sunday, because on those days, the buses pass her eatery on the way to the market. She makes healthy and rich food in a clean environment, so many of the buses stop by, bringing customers. For the past four months, Adelaida has been selling jewelry in the local communities, when she has extra time. If she doesn’t have the time, she sends a trusted family member or friend who then receives five percent of the sales. Earnings vary because when she travels to Costa Rica she receives a larger income due to exchange rate factors. She also delivers rice, oil and soap to local communities for extra income. With her earnings, Adelaida is improving her business and she saves any extra money in the community bank, a bank run by 42 women in Laurel Galan. 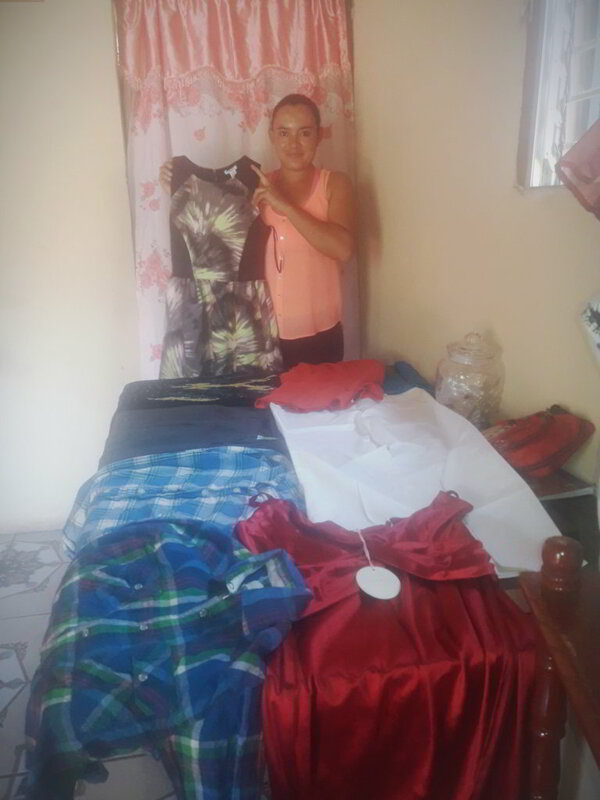 Adelaida is thankful and very motivated because the program has supported her through training classes, in which she has learned a variety of skills that she uses in her business. 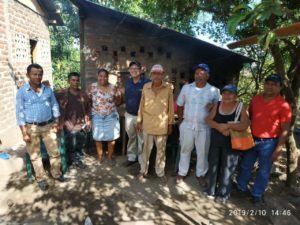 She is also thankful for the donations from Self-Help, such as the small papaya plant and the maracuya fruit plant, because now she can use the fruits to make juice. She would like to thank all the people who support the program, which for her, has been a huge help. She plans to continue with the program because she has not only received access to low cost loans, but she has improved her personal skills and knowledge. She is also thankful to the organization and donors who understand that Nicaragua is a country with great poverty, but a strong spirit and great hopes to improve. Your support has enabled Adelaida, and other motivated women like her, to earn money to support their families. Thank you for your generosity.